Johann Gabriel Doppelmayr's name is sometimes given as Doppelmaier or Doppelmair. His father, Johann Siegmund Doppelmayr, was a merchant but had deep interests in science. Writing about his father later in his life, Doppelmayr explained how his hobby was carrying out experiments in physics. He was the first to introduce a vacuum air pump into Nuremberg. Johann Doppelmayr entered the Aegidien Gymnasium in Nuremberg in 1689. The Aegidien Gymnasium had been founded in the 16th century by the Swiss Protestant reformer Ulrich Zwingli. Doppelmayr was to return to this Gymnasium as a professor later in his career. From Nuremberg, Doppelmayr went to the University of Altdorf in 1696 where he studied law, mathematics and natural philosophy. In 1698 he completed a dissertation on the sun, then went on to attend lectures on mathematics and natural philosophy by Johann Christoph Sturm who was considered the leading experimental physicist in Germany at the time. Doppelmayr submitted his dissertation De visionis sensu nobilissimo, ex camerae obscurae tenebris illustrato Ⓣ in 1699. For a short time in 1700 he studied physics and mathematics at the University of Halle where he also learnt French and Italian, then spent two years travelling in Germany, Holland and England. Until his visit to the University of Halle he had kept his options open of making a career in law or in mathematics and physics, but in 1700 he made the definite decision to give up his study of law and to concentrate on mathematics and science. First Doppelmayr went to Berlin in September 1700 from where he moved on to Franeker and Amsterdam in Holland before arriving in Utrecht. There he spent two months, again studying mathematics and physics, but here also improving his language skills by studying English. From Utrecht, he moved on to Leiden in April 1701 where he was welcomed by Lothar Zumbach von Koesfeld, the professor of astronomy, who invited him to live in his home during his visit. Doppelmayr made good use of his time, as he did in every place he visited, learning instrument making skills in Leiden such as how to make telescopes and how to grind lenses. Having quickly mastered these new skills, he moved on again, going this time to Rotterdam before crossing to England in May 1701 where he visited Oxford and London. Before the end of 1701 he was back in Holland, returning to Leiden for a five month visit to attend astronomy lectures by Lothar Zumbach von Koesfeld. Leaving Leiden he returned to Nuremberg but took a long route which involved visits to Utrecht, Deventer, Osnabrück, Hannover, Kassel, Marburg, Giessen, Wetzlar and Frankfurt. By August 1702 he was back in Nuremberg having learnt awide range of mathematical and scientific skills which at that time were not available in Germany. He clearly made a good impression on people during these visits since he was later elected to membership of a number of scientific societies including the Berlin Academy, the German Academy of Scientists Leopoldina (the Kaiserlich Leopoldinische Akademie der Naturforscher) in Halle (1715), the Royal Society (6 December 1733), and the St Petersburg Academy (1740). 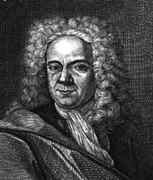 Doppelmayr was appointed professor of mathematics at the Aegidien Gymnasium in Nuremberg in 1704 and he remained there for the rest of his life. In February 1716 he married Susanna Maria Kellner who was eighteen years old at the time (Doppelmayr was 38 years old by this time). They had four children, although only one survived beyond infancy, and Susanna died at the age of 31 in 1728. Although Doppelmayr was to remain at the Aegidien Gymnasium in Nuremberg for the rest of his life, this was very much his choice since he had opportunities to move to much more prestigious positions. In 1723 he was honoured with the offer of the chair of mechanics at the Academy of St Petersburg. He turned down this offer, however, suggesting instead that Nicolaus (II) Bernoulli be offered the post. Indeed Bernoulli did accept the chair at the Academy of St Petersburg. Doppelmayr wrote on astronomy, spherical trigonometry, sundials and mathematical instruments. He used his language skills to translate a number of texts on astronomy, geography and scientific instrument into German or Latin. For example he translated the English text Astronomia Carolina: A New Theorie of the Coelestial Motions by Thomas Streete into Latin, publishing his translation of the 1665 original in 1705. The French mathematics text Traité de la construction et des principaux usages des instrumens de mathématiques Ⓣ by Nicolas Bion, published in Paris in 1709, was translated in German by Doppelmayr in 1712 as Neu-eröffnete mathematische Werck-Schule Nicolai Bion Ⓣ. As a final example, Doppelmayr translated the English text Discovery of a new World in the Moon by John Wilkins (which had been published in London in 1638 and was a vigorous defence of the ideas of Copernicus) into German publishing it as Johannes Wilkins, des fürtrefflichen Englischen Bischoffs zu Chester Vertheidigter Copernicus, oder Curioser und gründlicher Beweiss der Copernicanischen Grundsätze Ⓣ in 1713. Doppelmayr also wrote a book of tremendous value giving biographical details of 360 mathematicians and instrument makers of Nuremberg from the 15th to the 18th century. This had the lengthy title Historische Nachricht von den Nürnbergischen Mathematicis und Künstlern, welche fast von dreyen Seculis her durch ihre Schriften und Kunst-Bemühungen die Mathematic und mehrere Künste in Nürnberg vor andern trefflich befördert und sich um solche sehr wohl verdient gemacht zu einem guten Exempel, und zur weitern rühmlichen Nachahmung Ⓣ and was published in 1730. Besides star charts and a selenographic map, the Atlas includes diagrams illustrating the planetary systems of Copernicus, Tycho Brahe, and Riccioli; the elliptic theories of Kepler, Boulliau, Seth Ward, and Nicolaus Mercator; the lunar theories of Tycho Brahe, Horrocks, and Newton; and Halley's cometary theory. We mentioned above Doppelmayr's translation of a mathematics text. He also wrote several mathematics texts himself, including one on spherical trigonometry and Summa geometricae practicae Ⓣ. He was an enthusiastic experimental physicist and he published Physica experimentis illustrata Ⓣ in 1731 which describes 700 experiments which Doppelmayr had carried out himself. Doppelmayr's electrical investigations continued until his death, which followed a severe shock suffered while experimenting with one of the newly invented condensers. In this description Wilson follows a number of reports written shortly after his death which made these claims. However this cause of death is not universally accepted by historians and more recent research has led to several making the claim that Doppelmayr's electrical experiments were completed several years before his death so, these sources claim, could not have been the cause of his death.